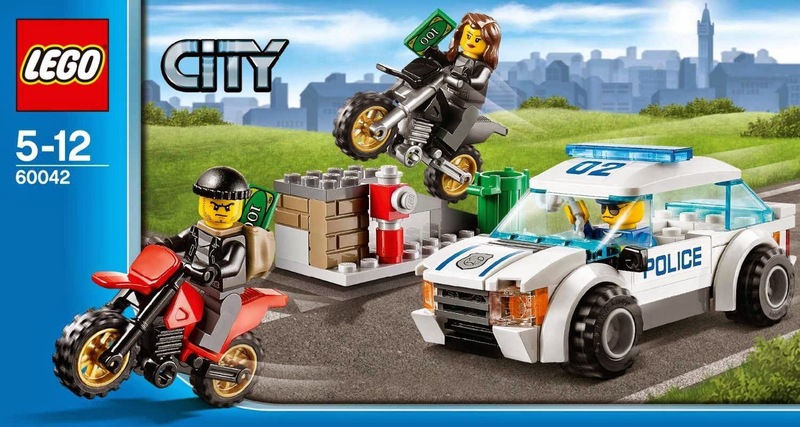 come with a police car and 2 motorbikes. 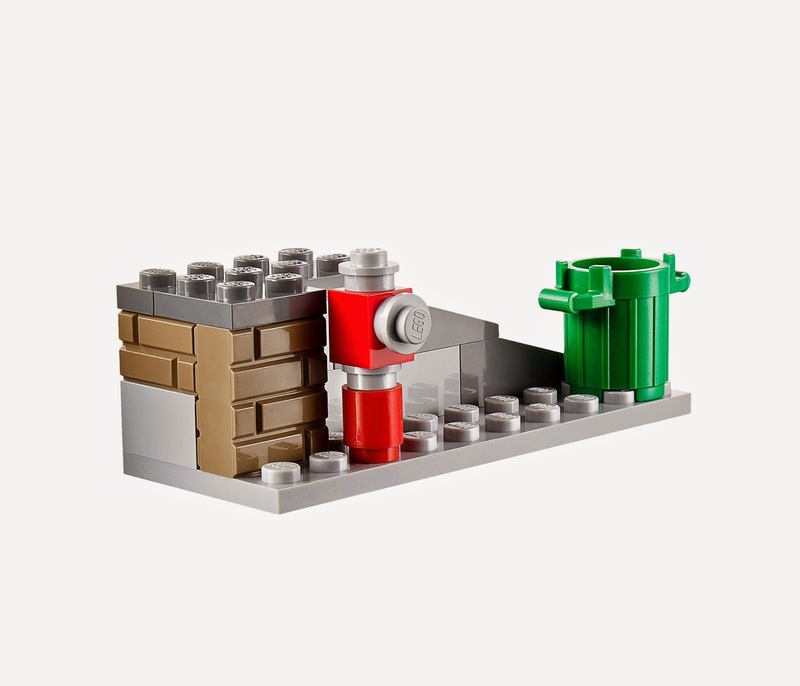 also included a ramp with fire hydrant and a trash can. 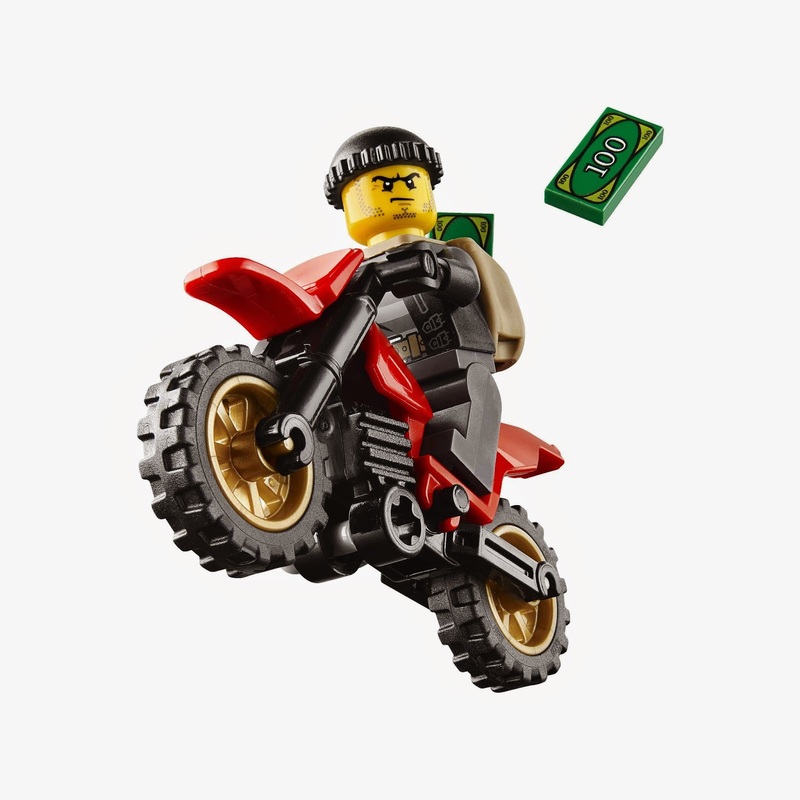 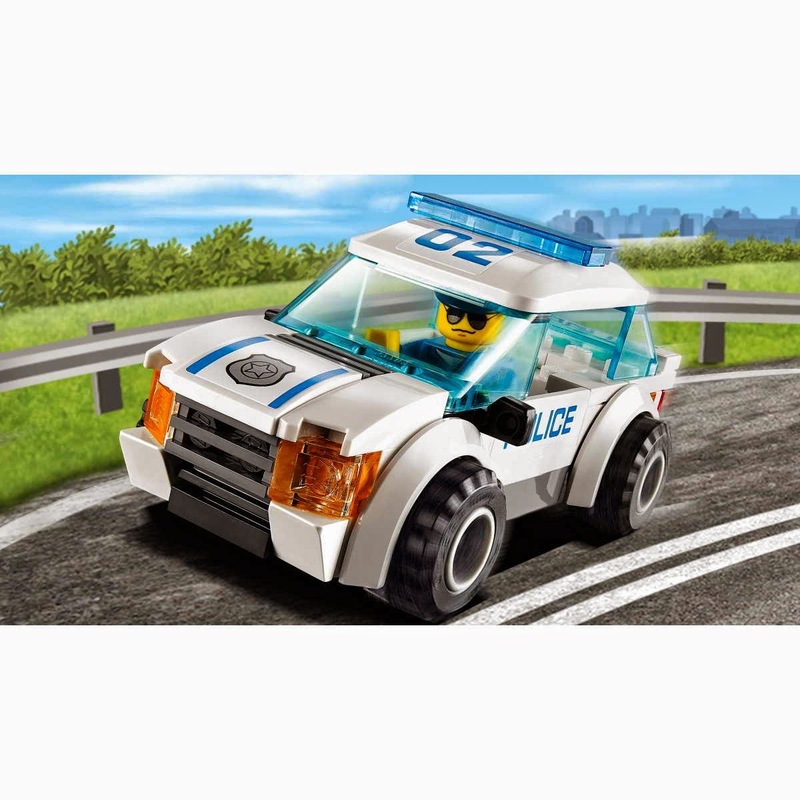 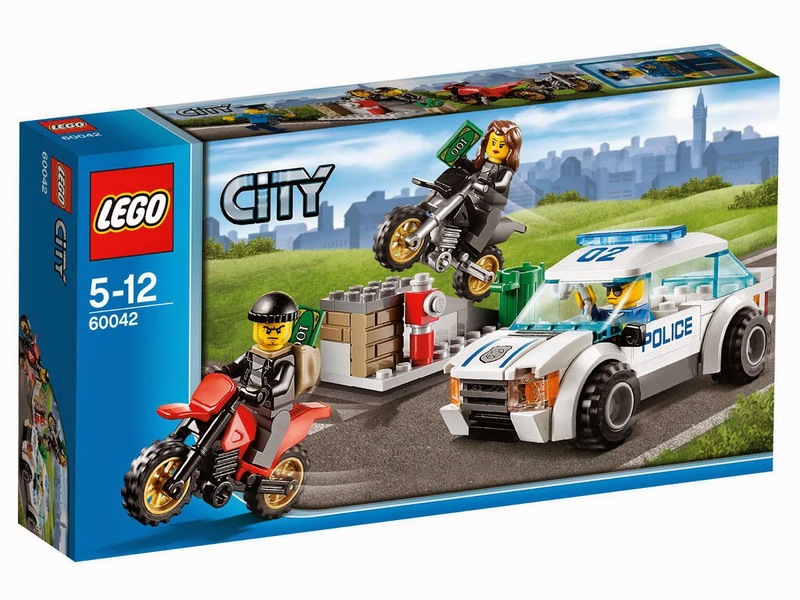 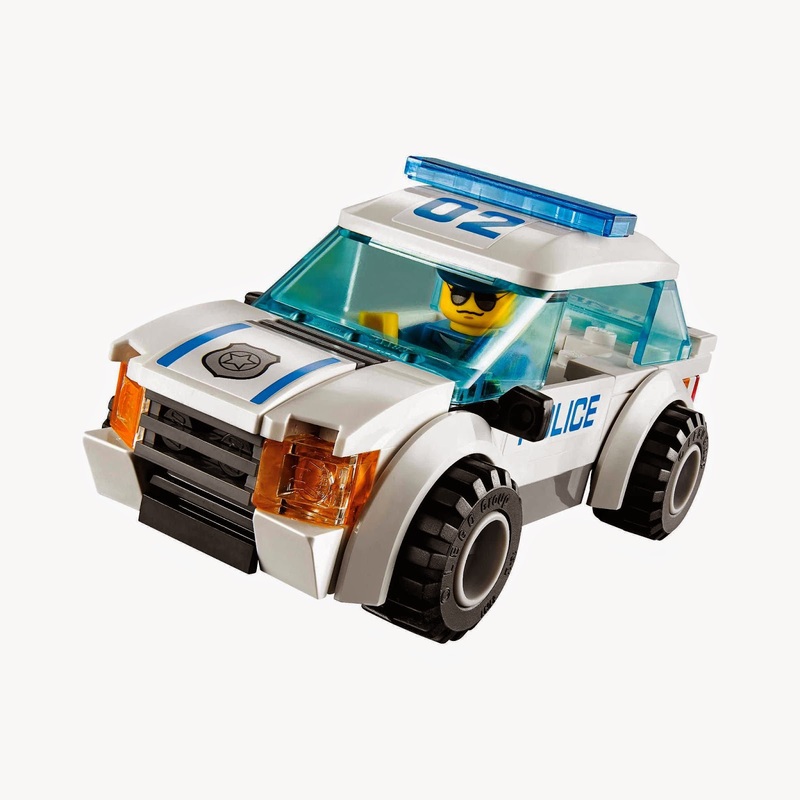 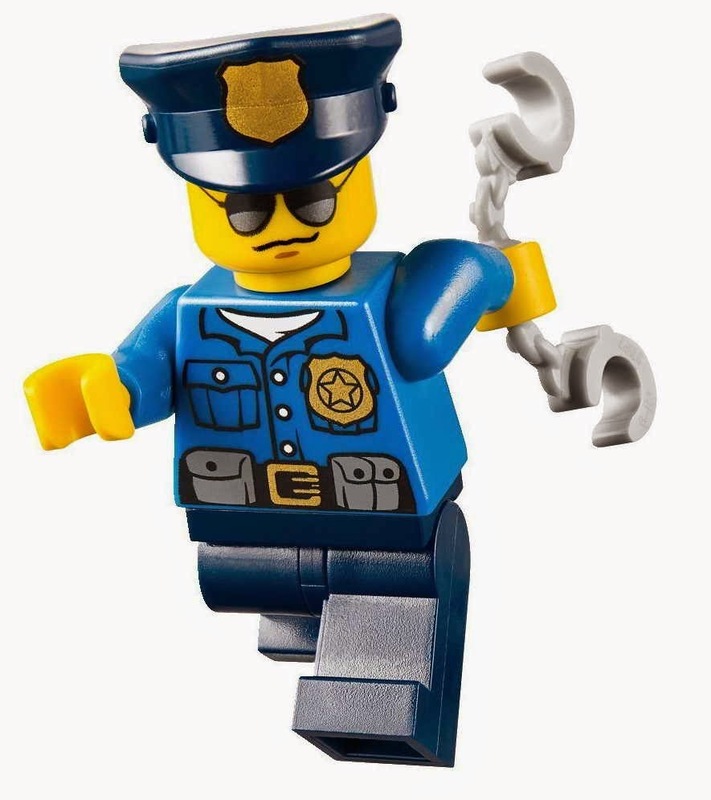 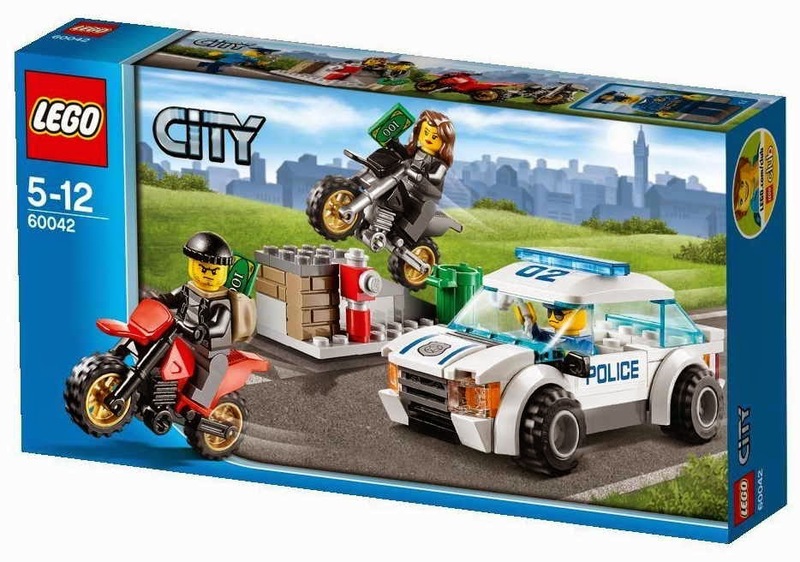 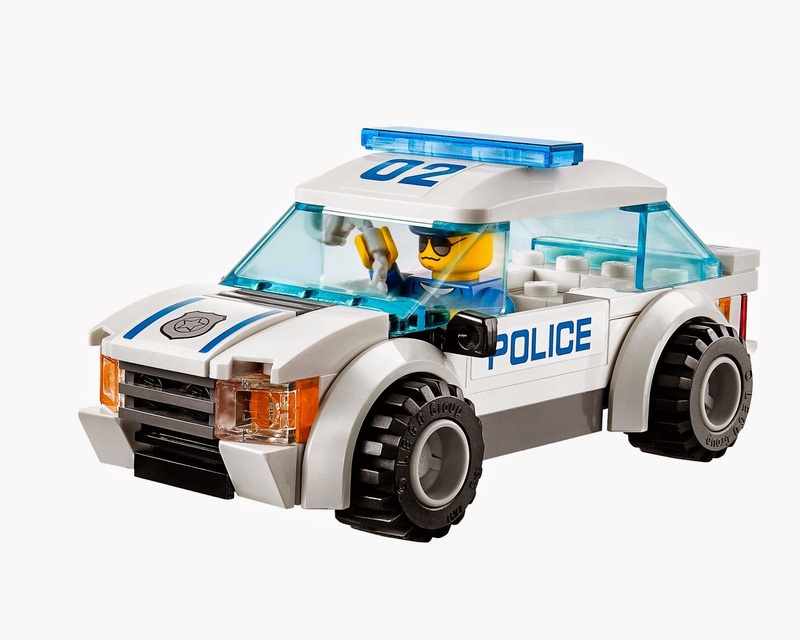 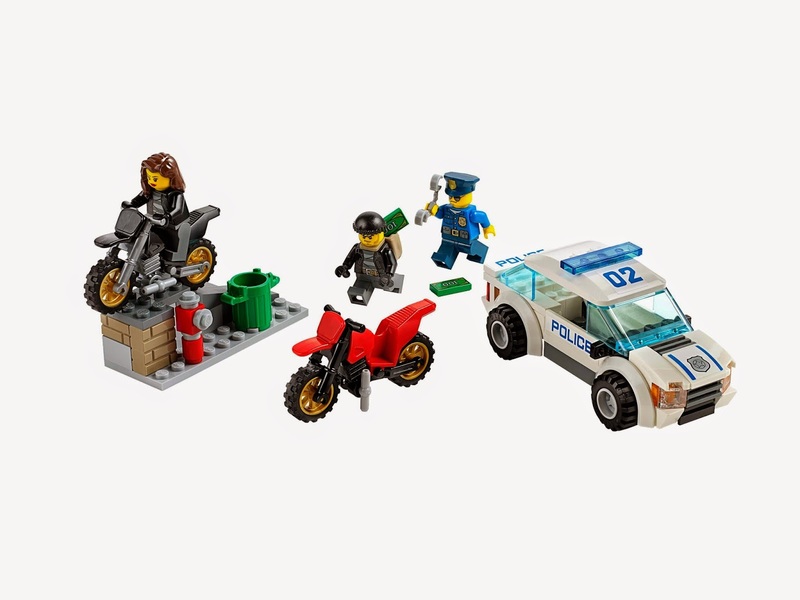 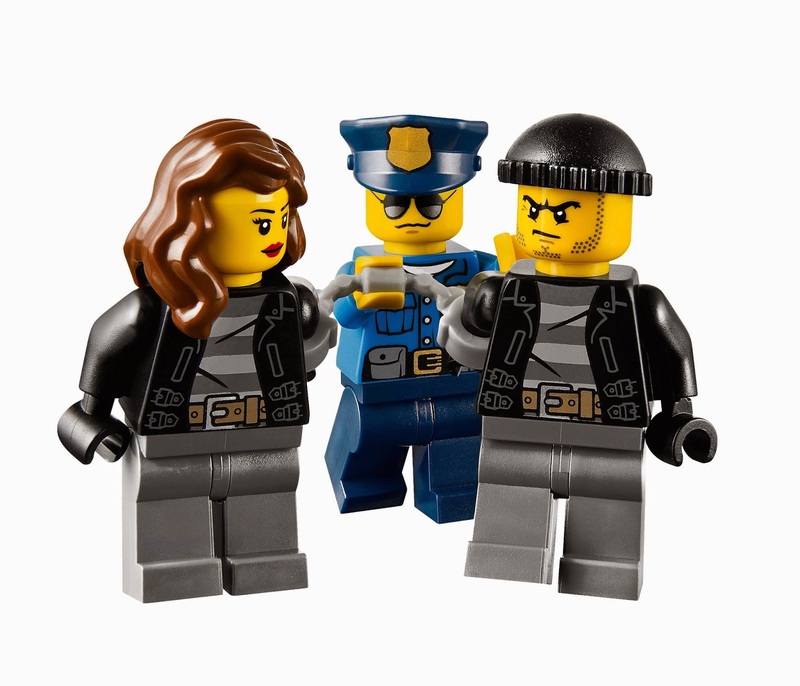 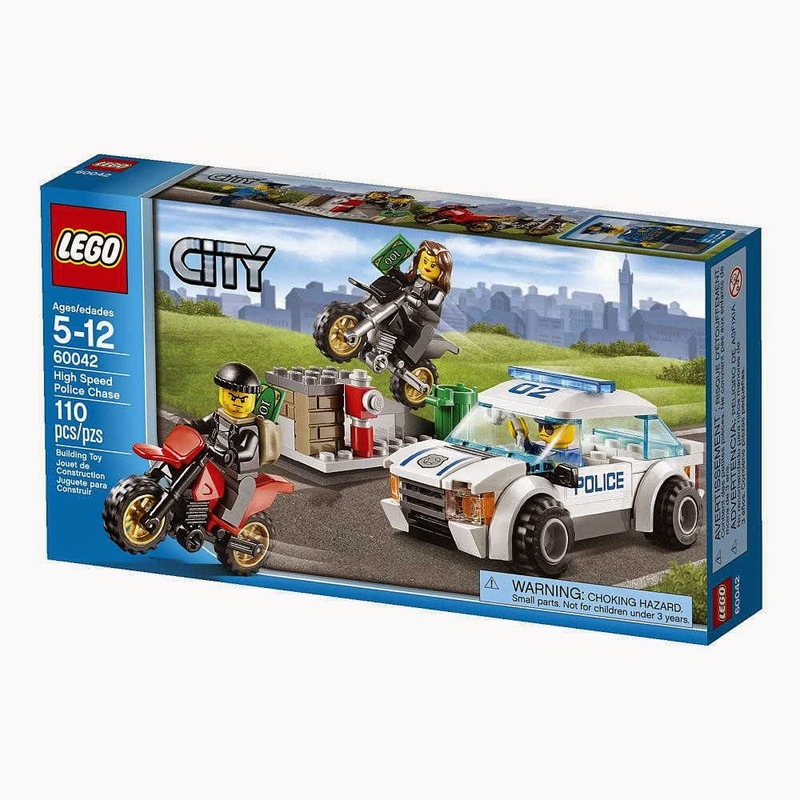 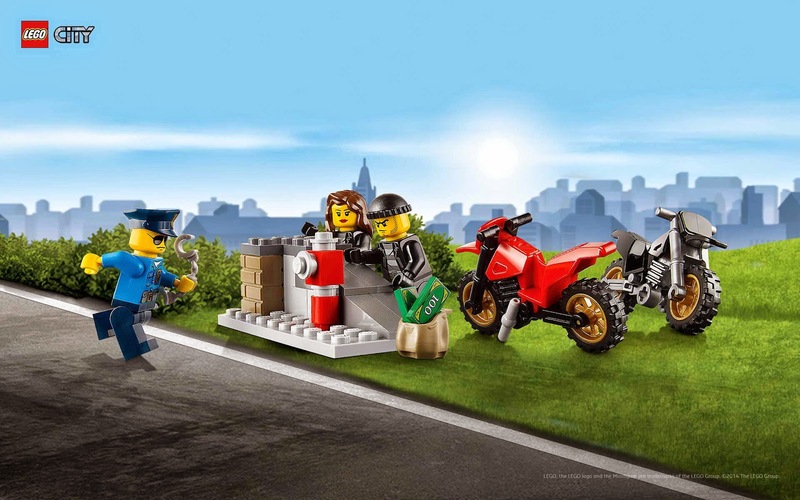 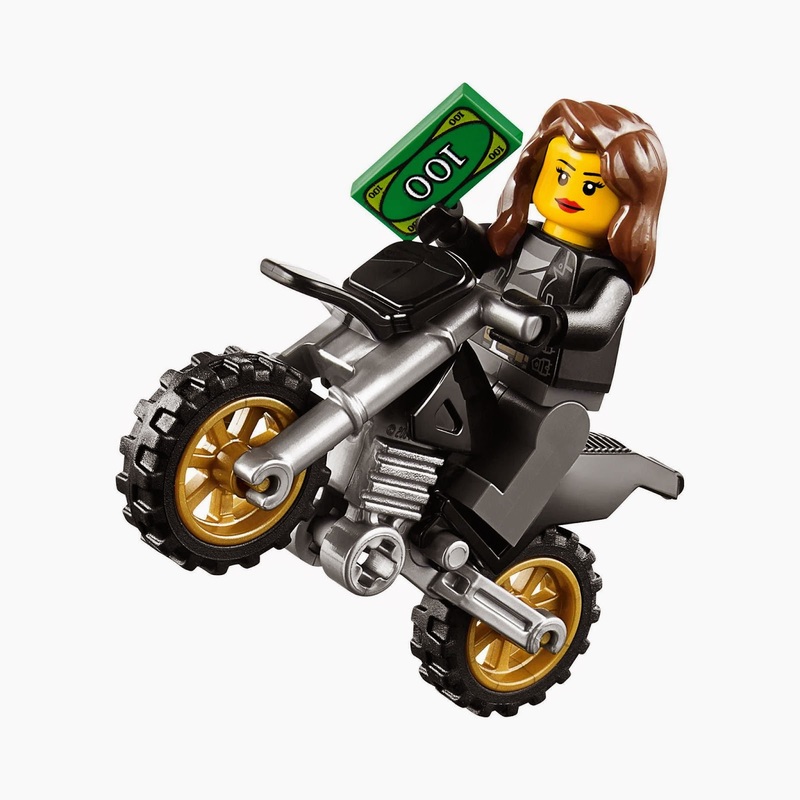 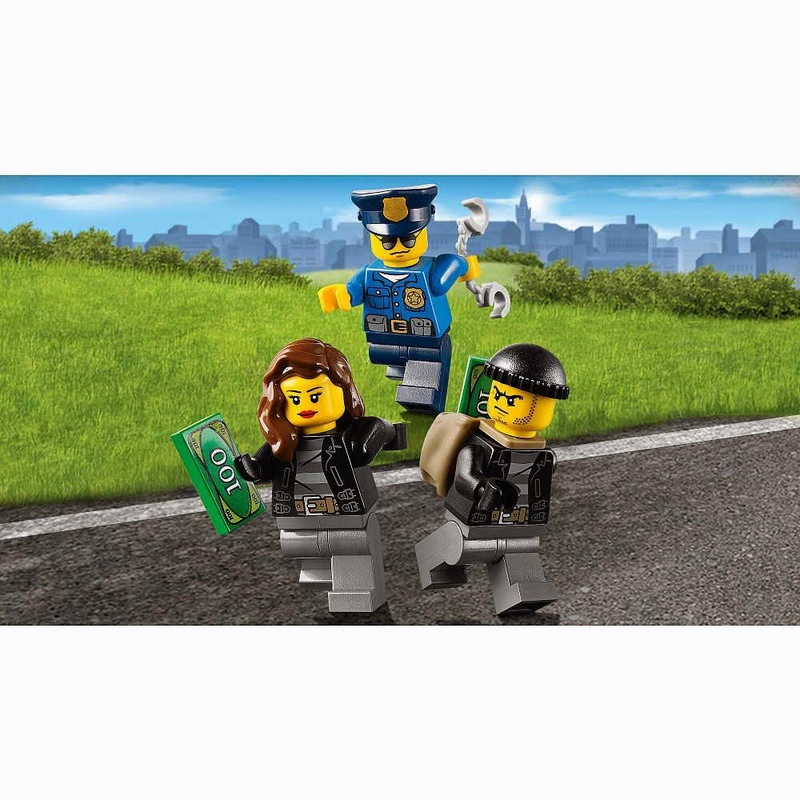 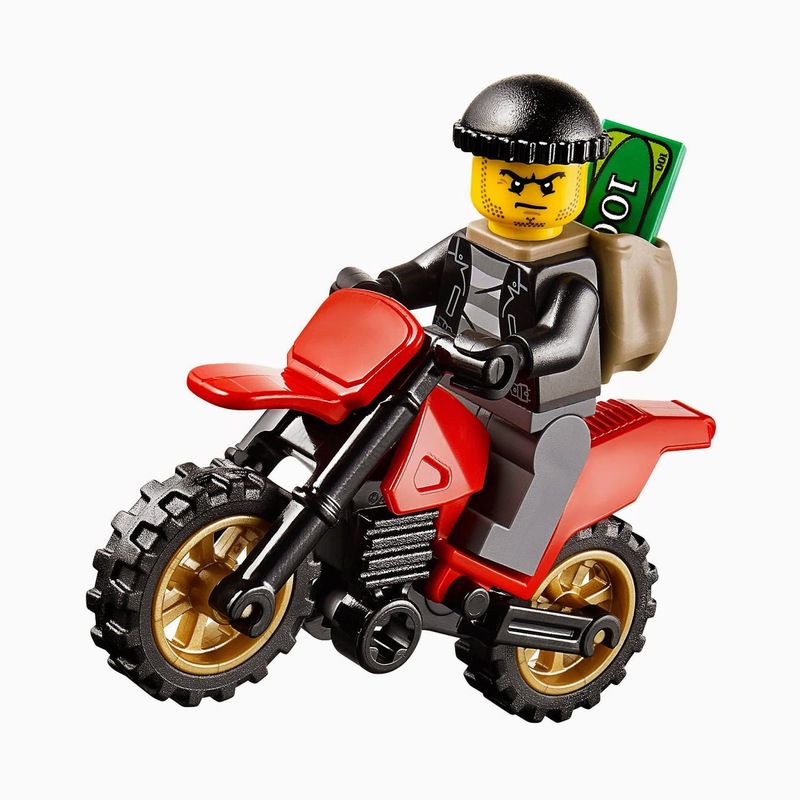 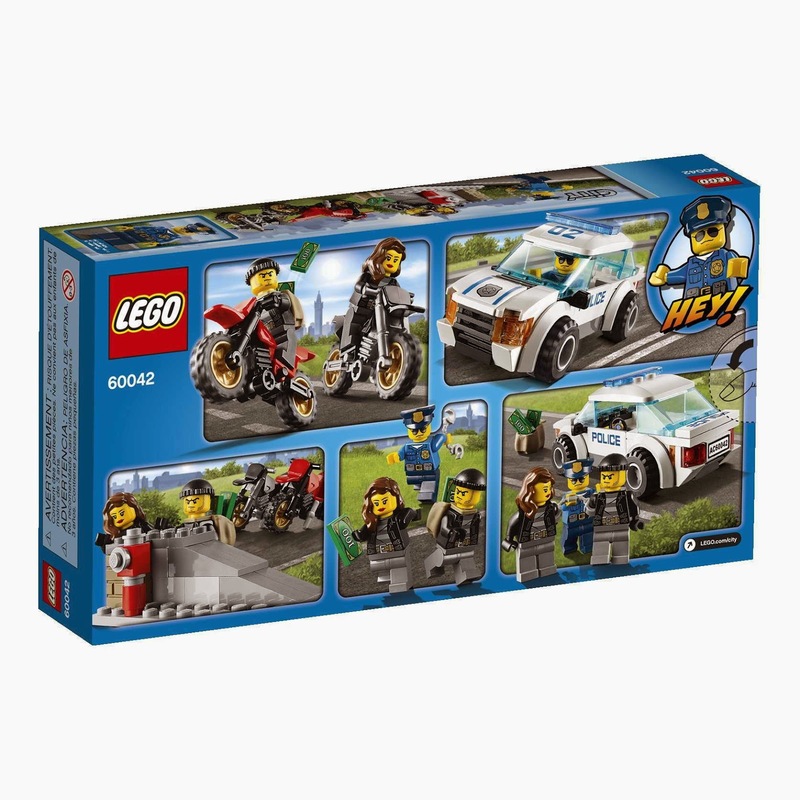 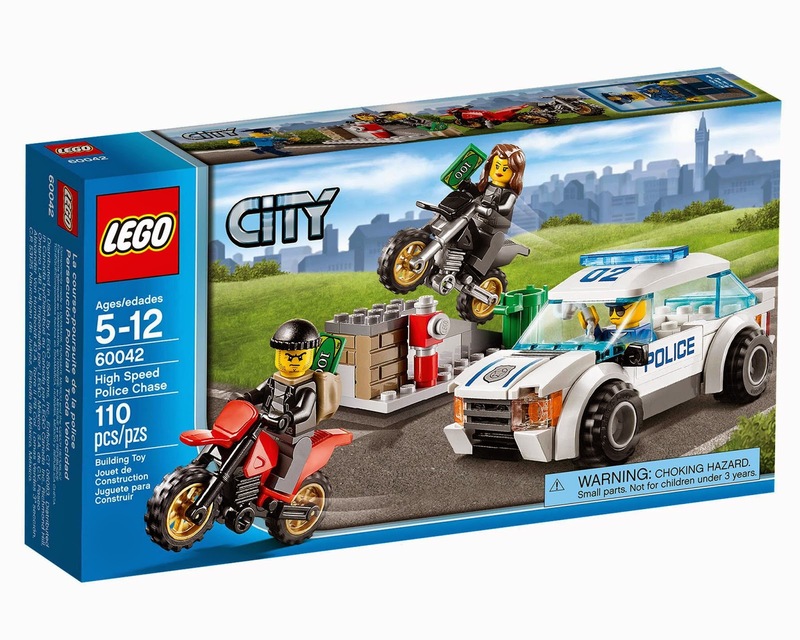 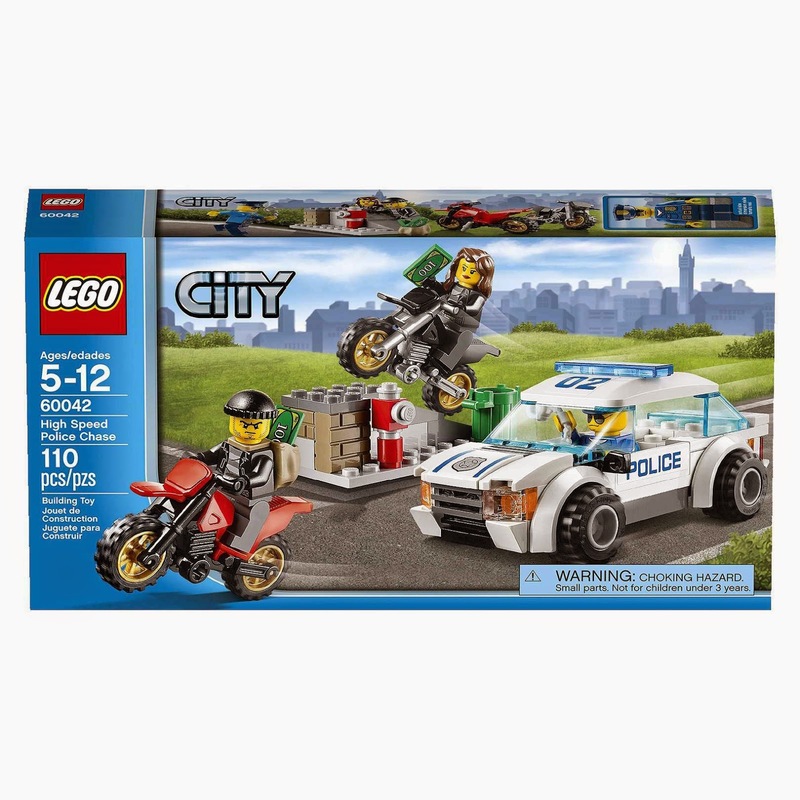 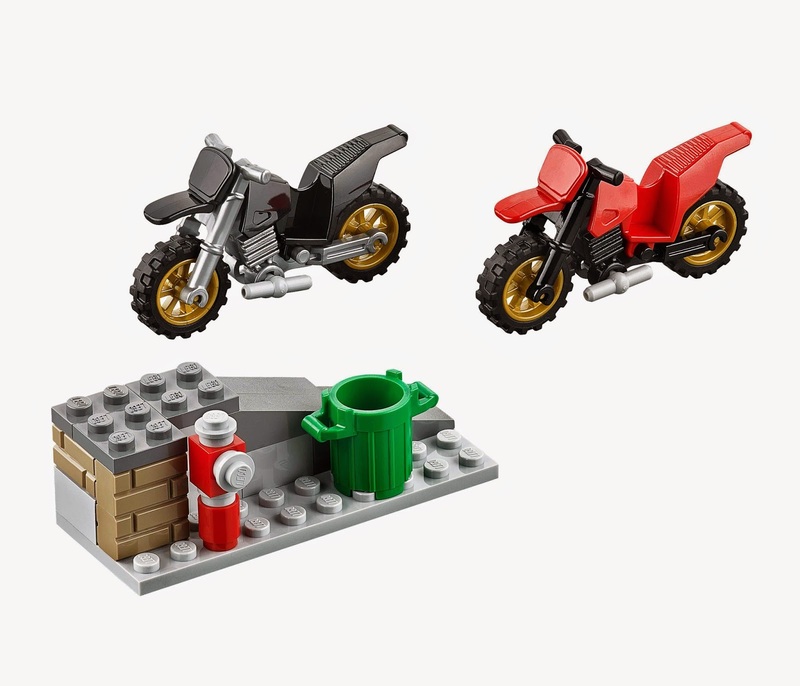 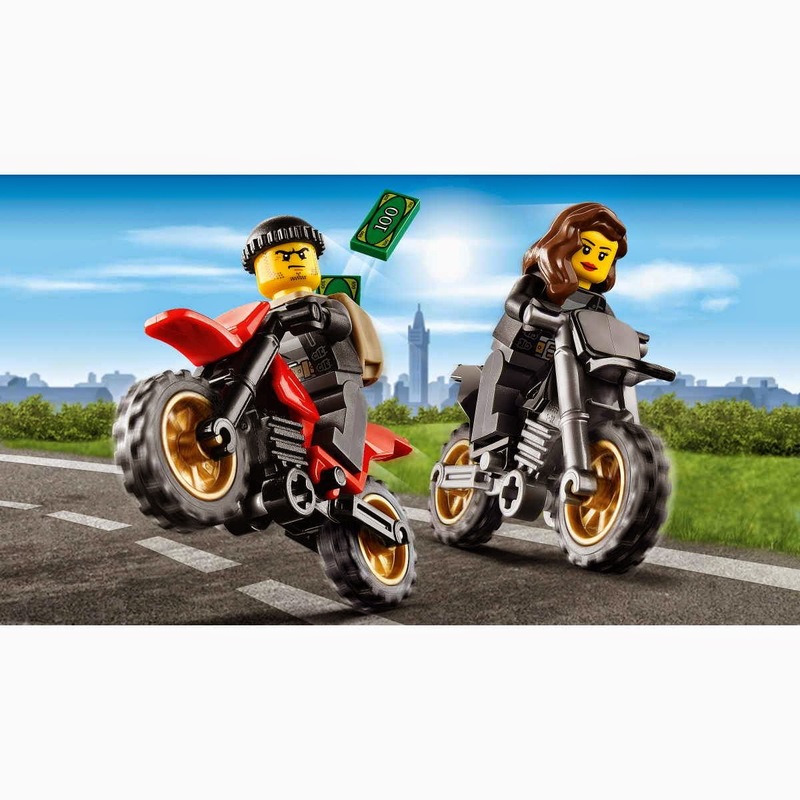 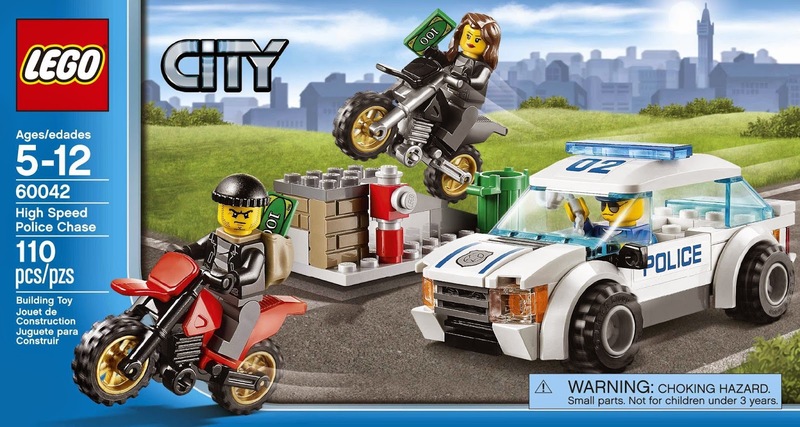 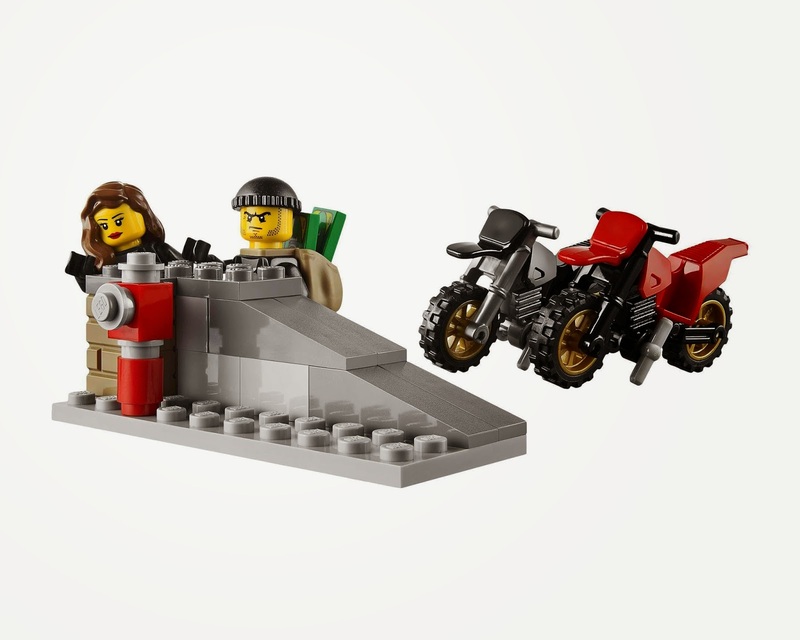 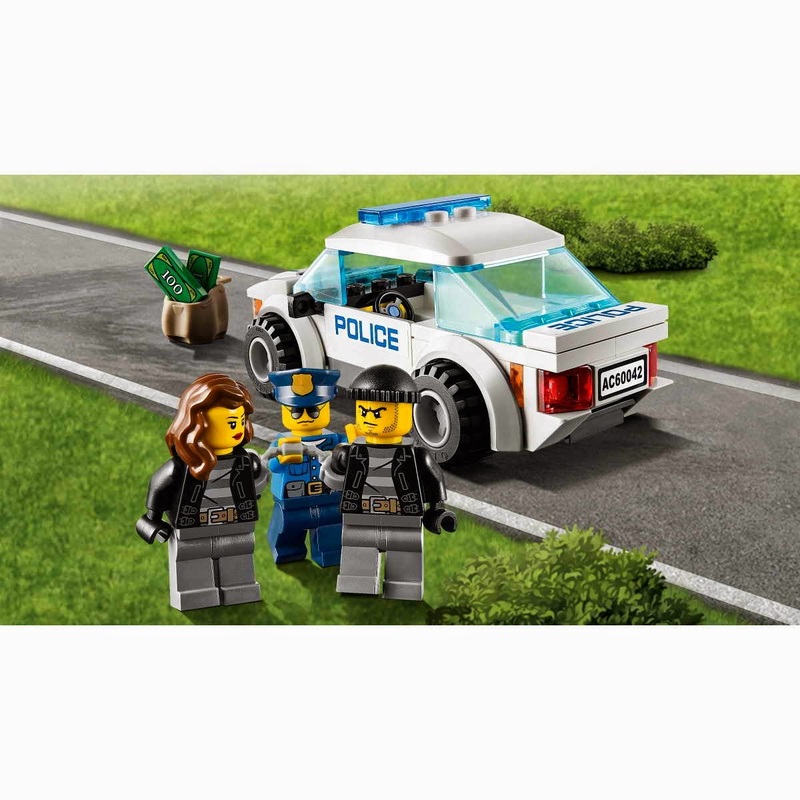 minifigs included a police minifig, a female bandit minifig and a bandit minifig.